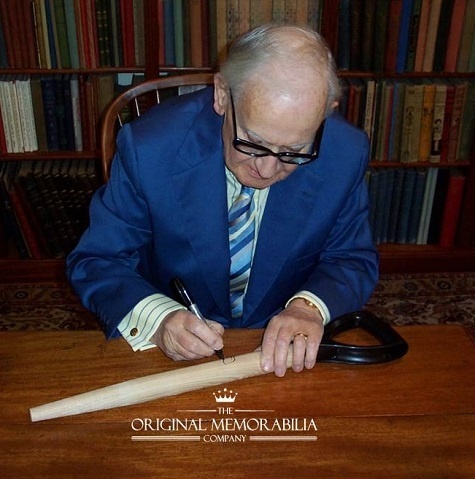 Full size wooden garden fork handle individually hand signed by the wonderful Ronnie Barker. 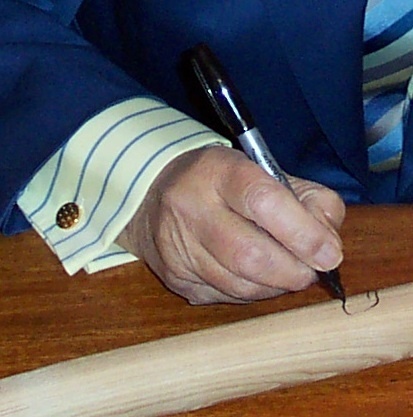 In 2005 Ronnie Barker agreed to sign 12 Fork Handles for the first and only time. All 12 were signed jointly with Ronnie Corbett. 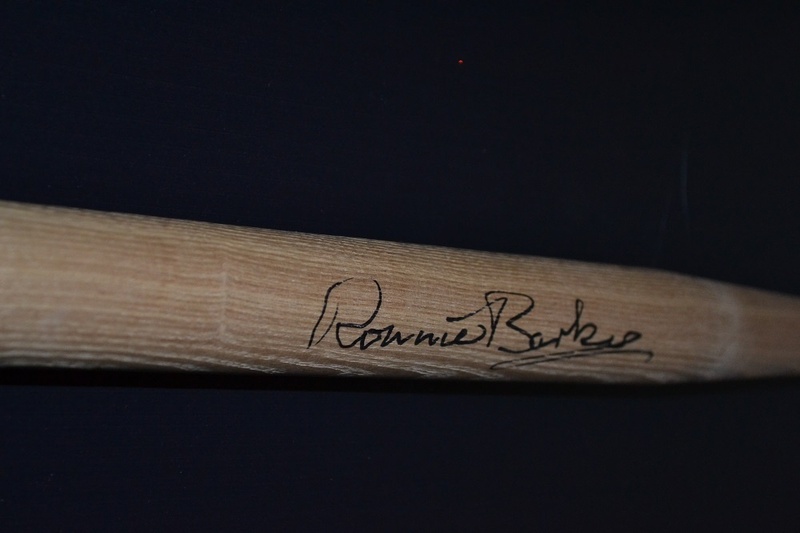 One additional piece was signed only by Ronnie Barker for our personal collection. This is that very piece and the only piece that was photographed being signed. A complete one off. 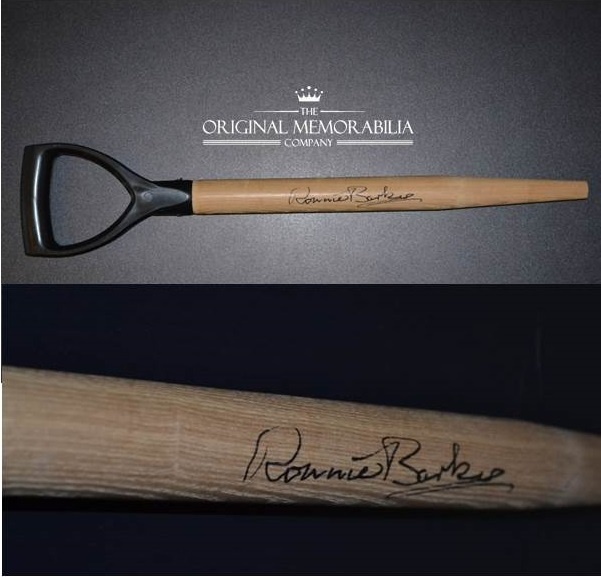 A truly wonderful piece of Two Ronnies memorabilia. Your purchase is safeguarded by our unique Document of Ownership & Certificate of Authenticity which will describe in detail the provenance relating to this piece and the photograph of this piece being signed. See ‘Authenticity’ for further information.